Have you turned 41 yet? A tipping point is coming. It’s inevitable and you can’t avoid it. And here’s how it goes. You’re at work. It’s someone’s birthday. Hooray! Cake! And they’re lamenting “I’m sooooooo old!” You politely enquire – How old? “33” is whispered back. Like it’s a terminal diagnosis. You reflect on 33. Hmmmm. It was a while ago. 40 is the new 30, right? You’re up for Friday night drinks. You go for power walks at lunch. You’re still on the young side. It’s in that moment when you look around and realise most of your work mates are younger than you. It’s a weird feeling because for a long time, you’ve always been one of the younger ones. Then comes the second zinger. At 41, the reality is that while you’ve already been working for 20 plus years, you’ve probably got more working years ahead of you than behind. Ouch. Time has this habit of speeding up as you get older. The year begins with January. Then before you know it, people are talking about “quarter 2”. Then the end of the financial year. Then it’s September and suddenly you’re at the Christmas party. Again. And as time marches on, existing professions are being re-branded. New jobs titles and roles appear. There’s emerging technology, and with it a need for practical knowledge to move into newly created roles and responsibilities. And the pace of change can seem exaggerated if you step out of the workforce temporarily for any reason – having a family, travel, ill health. Keeping your mind young, skills current and opportunities open – no matter your age – is important. 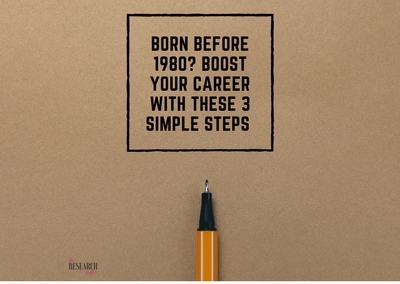 Here’s three ways to boost your career and match the pace of change. 1.Continually build your own personal toolkit of skills and abilities. Never stop learning. Ever. Investing in your own personal toolkit is your responsibility. Don’t wait for your employer to “train” you. Those days are long gone. Take your professional development into your own hands and find a course that’s relevant to either where you are or where you want to go in the future. Not sure where to start? Check out Coursera, Udemy, EdX. These MOOCs (Massive Open Online Courses) give you ready access to affordable hands-on training that’ll skill you up in no time. But it doesn’t stop there. Actually use what you’ve learnt in the workplace where you can- talk about it. Experiment with new skills, and share with others. Actively building your own personal toolkit through training has a multitude of benefits. Your confidence grows, abilities expand and you’re giving yourself more options into the future. So you’ve done some training, but what if your current job doesn’t lend itself to your new skills? Search out volunteering opportunities in your local community that let you apply what you’ve learnt. After doing some short courses in digital marketing, I re-branded our local toy library and built a social media strategy. And after a service design boot camp, I re-engineered the process for parents to apply for a position at my son’s kinder. Bye bye paper forms, hello simple online process. Testing out your expanded toolkit through volunteering is a win for you and for the community. Next time there’s a call-out to support your kids sporting team/school/kinder, put your hand up – you never know what you’ll learn! Not long ago, I set up my own side-hustle. 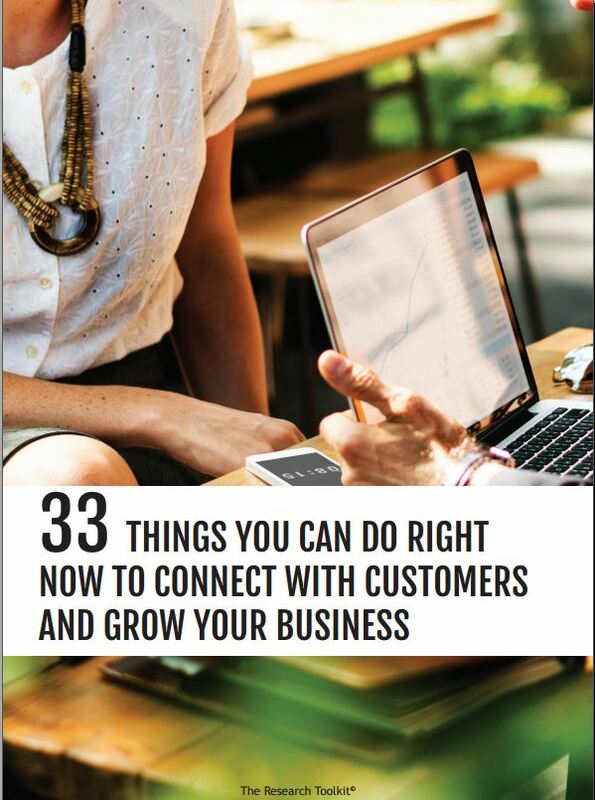 I loved my corporate job, but had many friends in small business who were missing an opportunity to get a better understanding of their customers. 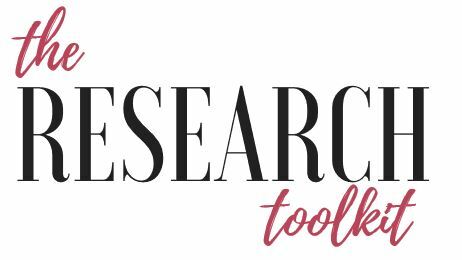 So I created this site, The Research Toolkit, full of self-serve tools that make it easy for small business to learn from their customers. What I didn’t anticipate was the learning curve. From designing a logo, building a website, mastering SEO (still a work in progress! ), advertising on Facebook, having a crack at video production. In fact, at last count I’d used 32 new tools and programs. Maybe you have a passion for something creative or an idea you’d love to build and sell. The tools are out there to start – building a website is no longer the domain of a web developer – anyone can do it. Take a leap of faith and map out a plan. And if you need some support and inspiration, look no further than Facebook, where support groups can give you plenty of guidance to get started. And if you’re looking for ways to test your ideas, check out what I wrote about tapping into forums here. These are just three ways you can grow your personal toolkit for success. It might be nothing more than a number. Or you may dread every birthday. You have choices to make a real difference in the rest of your life. Let’s face it – work takes up a big chunk of valuable time. Make it count.